The BBC will be providing live coverage of nine races in the 2013 Formula 1 season across all its platforms. The extended highlights programmes will be on BBC One, although start times and duration will depend on race location. For all live races, F1 fans will be able to customise their viewing experience online through a live leaderboard; in-car cameras; choice of commentary; live text commentary; interactive forums; circuit guides; and blogs. The BBC's red button interactive TV service will broadcast live coverage of selected on-track sessions - Friday and Saturday practice, qualifying and race - from the races that are live on the BBC. There will be an additional interactive analysis programme following on from the end of the live BBC One coverage of each race. The 2013 season will be available to view on the BBC HD channel. Click here for the Red Button schedule. 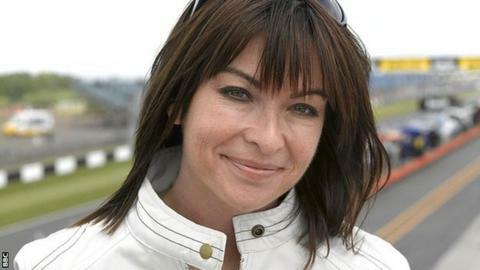 James Allen will be the commentator, and he is joined by Jennie Gow as radio pit-lane reporter. The station will continue with its half-hour 5 live Formula 1 show on Friday evenings during race weekends. It also has the Chequered Flag Podcast which is available after every race and features interviews with all the main players and in-depth analysis. Up-to-date details of BBC Radio 5 live coverage. The BBC Sport website will carry live all BBC One, BBC Two and red button coverage of F1. For the races that are live on the BBC, there will be multiple live video streaming. Video will be available in high quality, enabling viewers to watch on desktop and mobile, as well as through the new BBC Sport app. The website will continue its distinctive live text commentary, as well as news, extensive video highlights, analysis from chief F1 writer Andrew Benson and comprehensive results and statistics.